Astrodon 3 nm H-a and OIII narrowband filters and Generation 2 RGB Tru-Balance filters. 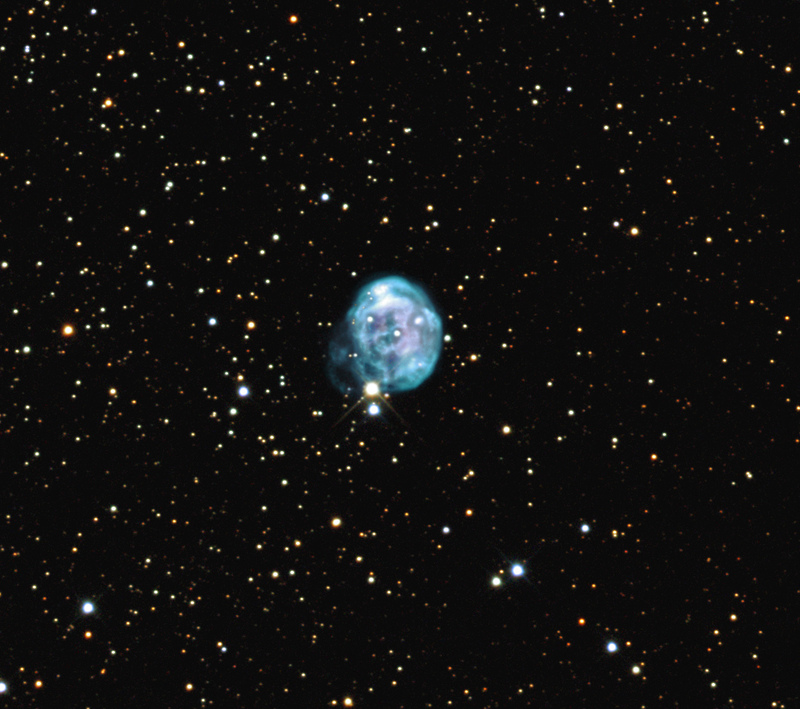 NGC 7008, the Fetus Nebula is a planetary nebula in Cygnus located 2800 light years distant. This is a cropped image that is 12 arcmin square. The narrowband filters, in particular the OIII filter, brings out additional filamentary detail not commonly seen with RGB filters.